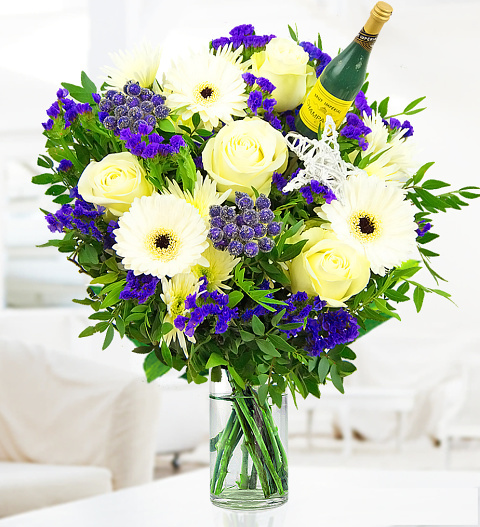 2019 is almost here and what better way to kick start the celebrations with our amazing Happy New Year bouquet. Perfect to thank those who you have celebrated with over the festivities or to wish someone a wonderful birthday or even celebrate a New Year anniversary! This bouquet is expertly arranged with Avalanche Roses, Germinis complimented with Statice and Pistachia. The bouquet is completed with a celebratory Champagne pick. Chocolates may contain nuts.